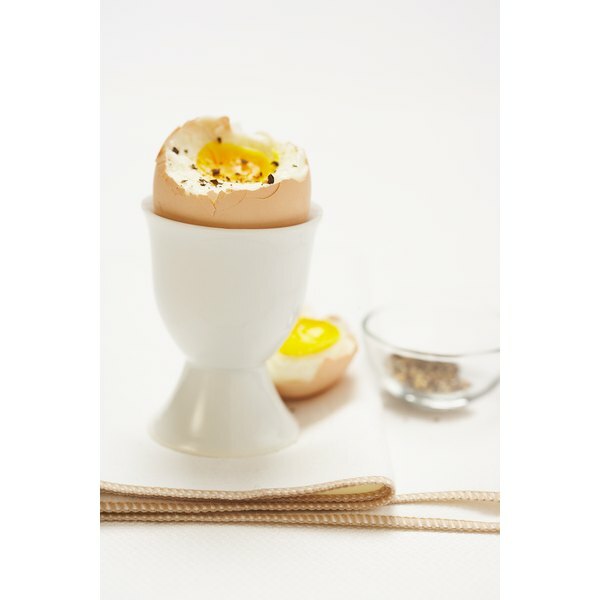 Hard-boiled eggs provide provide lutein and iron. A busy daily schedule might mean that you don't have a lot of time to prepare lunch -- but you can make nutritious meals from unprocessed ingredients that are also easy to make. Many common lunch options, such as canned soup, deli meats and fast food sandwiches, are highly processed -- but other unprocessed foods offer convenient, appetizing lunch options. Keeping nutritious options in mind can enable you to plan a lunch that doesn't have as many preservatives and additives as you would find in more processed foods. Fruits and vegetables are low in calories, but they are good sources of dietary fiber and eating more of them can help lower your risk of gaining weight. A green salad gives you the opportunity to eat plenty of fruits and vegetables. Use spinach leaves, lettuce or mixed greens as a base. Then, add raw vegetables such as cucumbers, onions or cherry tomatoes. Fruit, such as diced apples or pears, grapes or berries, adds natural sweetness. Cooked chicken breast and shrimp are unprocessed sources of protein. To avoid processed salad dressings, make your own vinaigrette with olive oil, red wine or balsamic vinegar and herbs, such as thyme, basil or oregano. Canned and boxed soups can be high in sodium, but you can make your own soup with unprocessed ingredients. 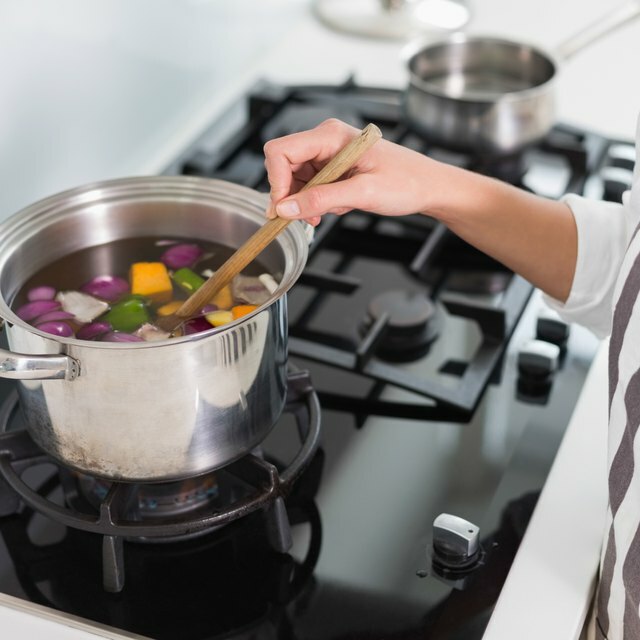 Instead of using commercially prepared broth or bouillon, make your soup base with chicken or beef bones, celery, carrots, bay leaves, onions and rosemary. Then, add the remainder of the ingredients for your soup. Make minestrone soup with kidney beans, tomatoes, green beans and bulgur, or try split-pea soup with barley. Instead of using canned beans, use dried beans, peas or lentils. Cook a whole grain and make a cold salad with it a couple of days before you need it. Choose unprocessed whole grains such as bulgur, barley, quinoa, whole-wheat couscous and brown rice. Whole grains provide dietary fiber, magnesium and potassium, and consuming them instead of eating processed, refined grains can lower your risk for heart disease, according to the Linus Pauling Institute. Make tabbouleh with bulgur, parsley and tomatoes; mix brown rice with kidney beans, almonds, bell pepper and broccoli; or, try faro with chicken breast and beets. Eat your salad with baby carrots or cherry tomatoes and have fruit for dessert. Snack foods can be the quickest options when you do not have much time to prepare or eat lunch. Hard-boiled eggs, raw vegetables, fresh fruit, air-popped popcorn, cooked chicken and nuts are examples of healthy, unprocessed foods. Other foods to consider are all-natural peanut butter or homemade hummus as a dip or spread. Avoid processed snacks such as potato chips, candy bars, sandwich crackers and cookies. Not all processed foods are unhealthy. Non-fat yogurt and low-fat cheese, for example, are sources of calcium, protein and vitamin B-12. Yogurt also provides probiotics, which are bacteria that live in your gut and may provide health benefits such as preventing diarrhea. Canned tuna is a convenient source of protein as well as of omega-3 fats, which can reduce the risk for heart disease and blood pressure, according to the University of Michigan. Roasted, unsalted nuts provide heart-healthy fats and dietary fiber.